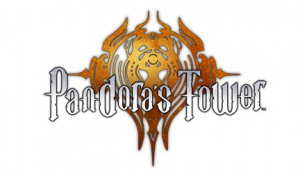 Upcoming — for Europe, anyway — Wii RPG Pandora's Tower is just a few weeks from launch, so Nintendo has some footage from the English version of the game to show off. The trailer below is a little lighter on the English accents than we've come to expect from recent RPGs Xenoblade Chronicles and The Last Story, but still contains a stellar performance from an unseen cackling crone. The rest is a mixture of in-game graphics and CGI cut scenes, but it's all very pretty, so probably worth a watch. Pandora's Tower is out on Friday 13th April. This looks like a great RPG but I haven't got TLS yet so I'll get that first. Come on, Nintendo--you've brought us the other two! I've wanted this one the most the entire time! Can't believe it's almost here! What a lovely swan-song last year for the Wii. In heavy dialogue games like these RPGs, is it really a good use of resources to dub the game twice in the same language just to satisfy accent expectations between North America and Europe and possibly make a few word changes between British and American English? 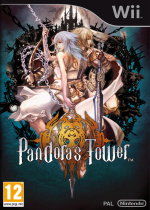 @Bauckster XBC does have that option, TLS doesn't and I'm not sure about Pandora's tower. @FonistoCruxis Good to know, thanks! If I pick only one, I was already leaning towards XBC, and the Japanese option w. subtitles gives it a definite edge. I have the bad feeling that that thing she ate is making the curse worse. @bauckster The English voice acting is great in XBC so at least give the English VAs a chance. @Randomname19 I don't think it is, she's supposed to eat the flesh and organs of the monsters to lift the curse. @Randomname19 I can see why you thought that but it could just be that she didn't like the taste of it. Or maybe there are side effects. @Randomname19 she will probably acquire a taste for the monster flesh. The flesh is weak... but tasty! @Vonseux Well, I've seen a screenshot showing Ende's level, HP and other stats like in an RPG. Hopefully the game ends up being great. From what I've seen, the gameplay is reminiscent of the Prince of Persia Sands of Time trilogy, which definitely isn't a bad thing. I'm keenly awaiting some reviews! @Chrno-x Really? I've played through The Last Story and I thought the voice acting was great. And despite hearing quite a few negative comments about this game, I'm still looking forward to it. Comes out on the 12th of April in Australia... one day before Europe just like with The Last Story. Doesn't make up for me not having Kid Icarus: Uprising yet though!